ING Canada ("ING"), a large financial institution, was searching for an IT management solution that would allow it to leverage its existing infrastructure. When ING began its search, it was utilizing a system to report and control project costs that was inflexible and not used by all departments. ING's management also wanted to improve its employee relations by creating a flexible overtime bank to allow its staff to accumulate vacation and other time. 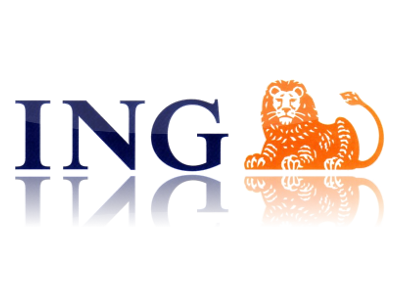 ING evaluated several software applications, including Projeca, Primavera, Planview, and Changepoint before choosing Automation Centre's Tracker Suite. ING was impressed with Automation Centre's customer base and the length of time its clients had been successfully utilizing its applications. The Tracker software was also significantly less expensive than its competitors, at 25% of the cost with 100% of the features. In October 2000, ING's IT departments licensed the following Tracker applications: Project, Time, Expense, Purchase, Personnel, Customer, and Reports. Tracker was well aligned with ING's existing technology infrastructure, its Lotus Notes/Domino platform. Tracker's 100% Lotus Notes based platform provided a low total cost of ownership, easy user interface and simple installation with a minimal impact on the server and existing resources. As the employees were already familiar with the Lotus Notes platform, the installation of Tracker resulted in a high and instant acceptance rate with near zero training. Automation Centre also provides the source code for no additional fee unlike many of its competitors. This allowed minor modifications to tailor the software to fully satisfy ING's needs. The ease of use and functionality of Tracker allowed ING to conduct its own training and roll out for Time Tracker while Automation Centre provided remote support. This allowed ING to go live with Time Tracker by February 1, 2001, only four months after licensing with customization and integration services. By July 2001, ING will have more than 300 users disbursed over several locations in Canada. Time Tracker has provided ING's greatest benefit thus far. This tool provides a facility for tracking and reporting staff effort on approved IT projects and support, tying this effort to the tasks laid out in the project plan. It also integrates the staff into the process and boosts employee relations by allowing them to enter their hours worked, standby and call-in time from any location. The staff can also determine how much of their extra or deficient hours will be added or subtracted from their flex bank. Timecards are automatically routed to the line manager for approval and sent to Payroll for payment. ING managers have also benefited significantly from Tracker. They are provided with a current and accurate list of company efforts ranked by priority and status. Management now knows the true costs of projects and thus makes better decisions. Moreover, the automated process has greatly increased ING's project management efficiency.